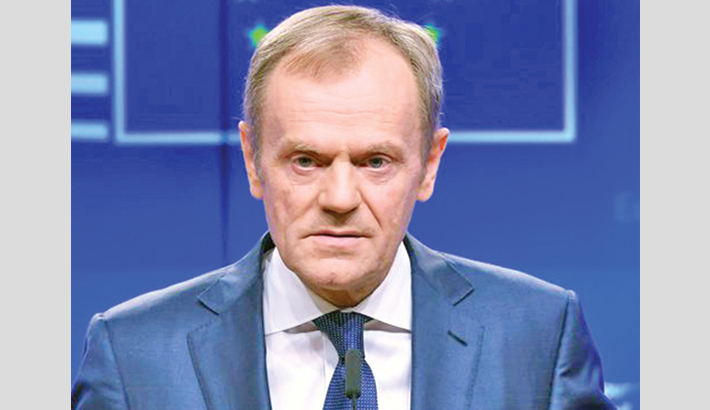 LONDON: The EU could approve Britain’s request for a short delay to Brexit but only if UK MPs next week vote through the withdrawal deal they have twice rejected, European Council president Donald Tusk said Wednesday, reports AFP. The pound fell sharply against the euro during the day, reflecting fears that Britain could crash out without any agreement at all. Exactly 1,000 days on from Britain’s seismic 2016 referendum vote to split from the other 27 EU nations, the country unclear about the path ahead.